Travel back to your freshman dorm wall decoration–let’s revive 1978 National Lampoon classic set here in our little-old campus town. In Bike in Shapes’ first ever texted-based ride, let’s the stitch the infamous “COLLEGE” lettering in John Belushi’s icon sweatshirt. We’ll meet at the Bier Stein at 7pm on Thursday and finish at original Pegasus Pizza on campus (790 E. 14th). Toga wear permitted! 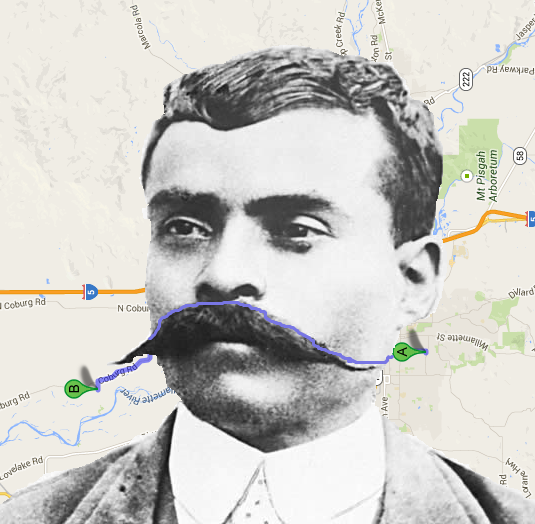 Hi-dilly-ho neighborinos, it’s Movember, so let’s tizzy and zizzy down old streets of Eugene in the shape of neighbor Ned’s soup strainer. We’ll commune at the Tap & Growler at 7pm this Wedaley-wednesday and sally forth. It’ll be okaley dokely! When I dip and you dip we dip! Let’s all ride the Big Dipper and then follow the “north star” down Lincoln St. to the Little Dipper on the river. We’ll meet outside The Cider House at WildCraft Cider Works at 7pm this Thursday. Are you ready for the Prime-ary time?! 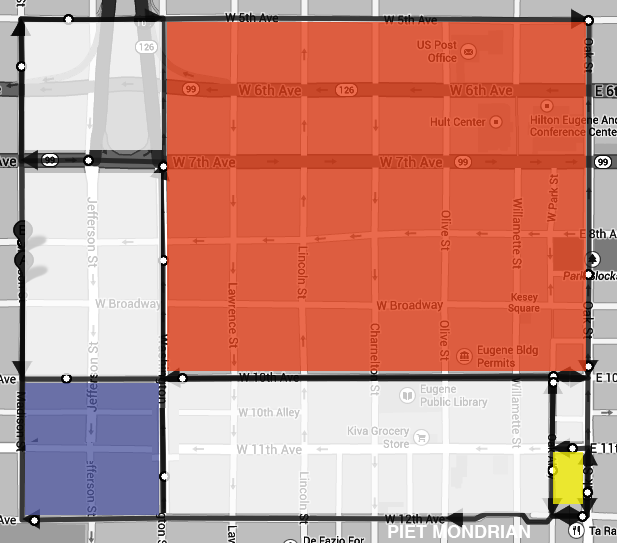 Let’s dip our wheels, and paint an ode to the original city grid artist…Piet Mondrian. Meet at Falling Sky’s new Delicatessan (on 10th & Blair) on Thursday, October 17th at 7pm and ride this way and that. Extra points for wearing your favorite primary color!